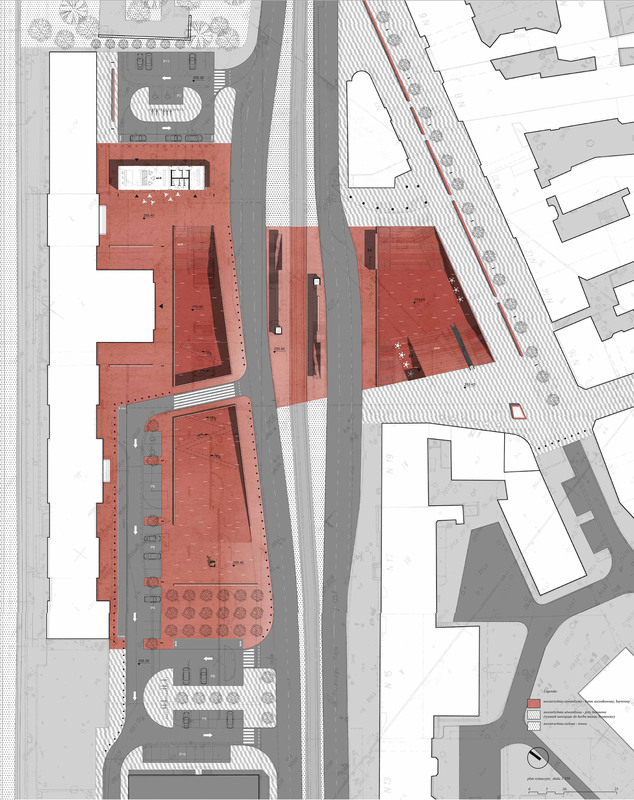 PROJECT OF A PUBLIC SPACE IN THE FRONT OF THE RAILWAY STATION IN SOSNOWIEC. The project assumes the creation of two major zones. The first one is an open space, designed on the ground level. It is a city square in front of the Railway Station building – a buffer for the building itself and a recreational space for the inhabitants and travelers of a public transportation. The second area is a zone below the level of the terrain that forms the underground passage to the city centre. While the space on the ground level works as an open public space the level below is a service area with shops and restaurants. Underground tunnel mainly used only for communication is transformed into an underground square with a new functional program. 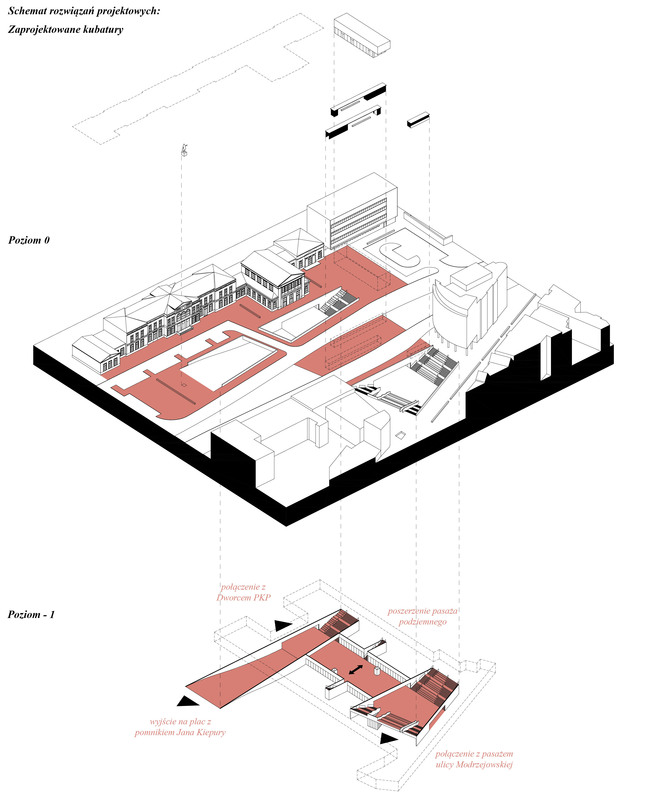 The result of the project is the integration of these two public spaces into one common two-storey urban square. The project assumes the removal of an existing ground car park located in front of the PKP Railway Station building. Now the area is also dedicated for a new location of Jan Kiepura Statue.